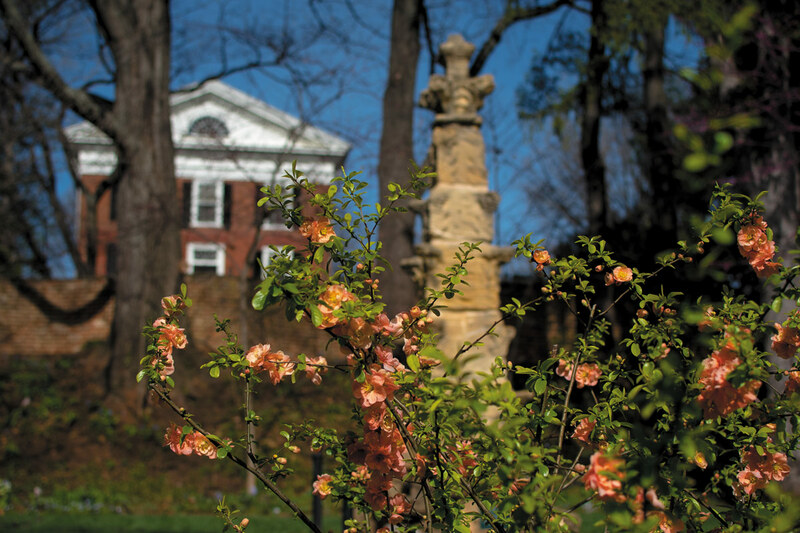 A variety of flowering quince blooms in early April in lower Garden VI. Behind are Pavilion VI and the Merton Spire. 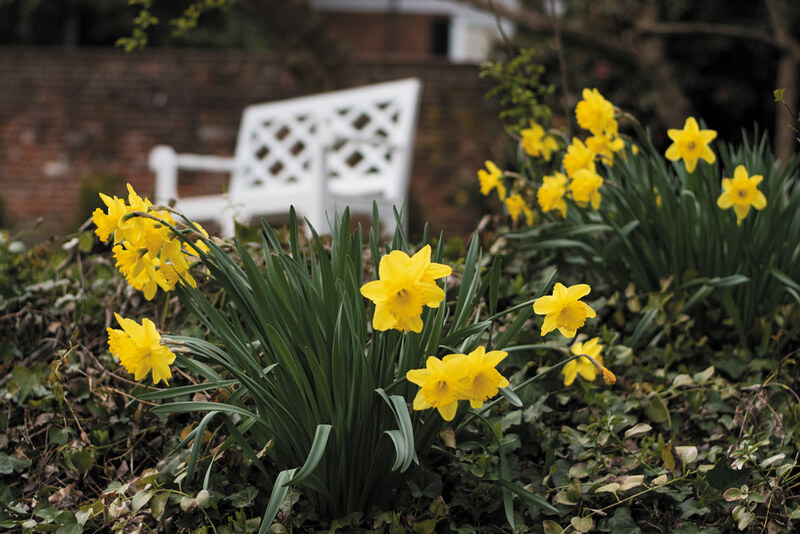 Each year, as the cold loosens its grip on the air, daffodils announce the arrival of spring in the pavilion gardens. 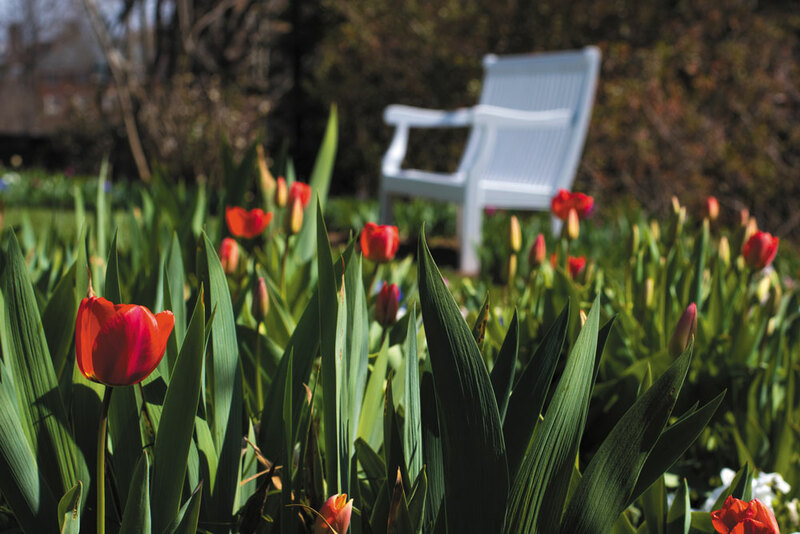 Soon come the brightly colored hyacinths and tulips, the whistle of the tufted titmice, and the cheery sounds of robins, cardinals and blue jays. 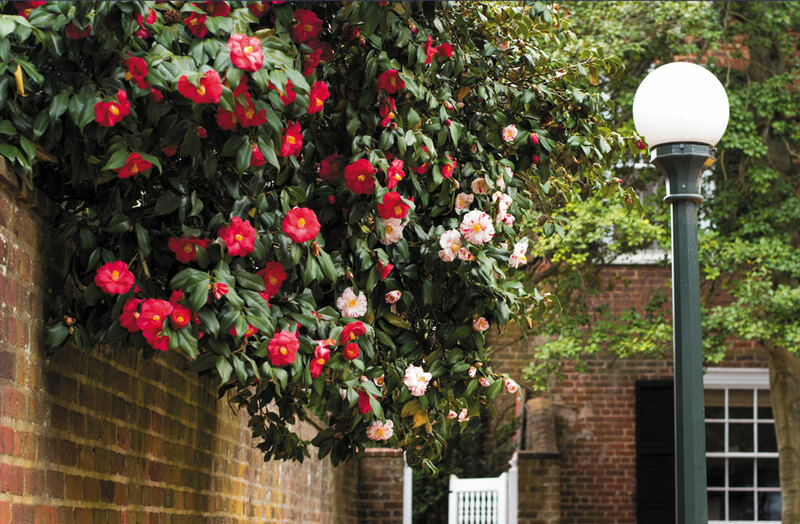 It wasn’t until the 1950s and 1960s, when the Garden Club of Virginia undertook to reinvent them, that the pavilion gardens became the colonial revival gardens that generations have known. 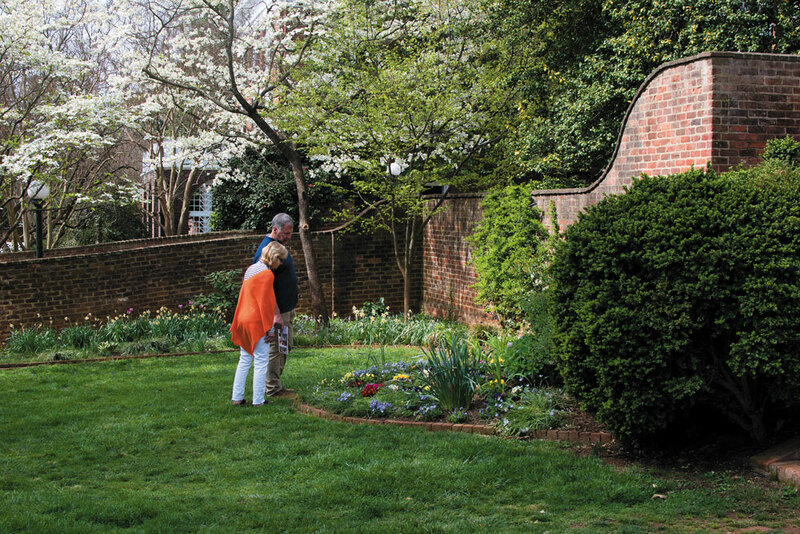 The group brought in renowned landscape architects from Colonial Williamsburg to reimagine gardens Jefferson might recognize, using landscape fashion and plants from his time. 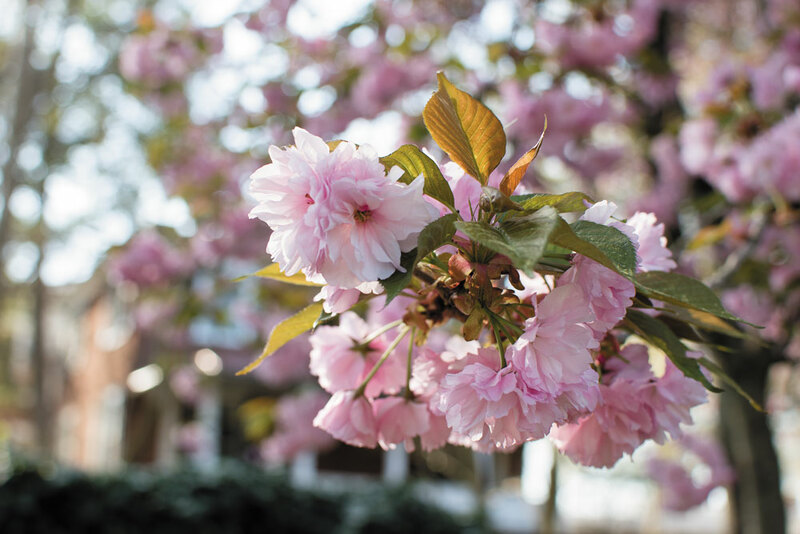 Still, thousands make their way to the gardens each spring. 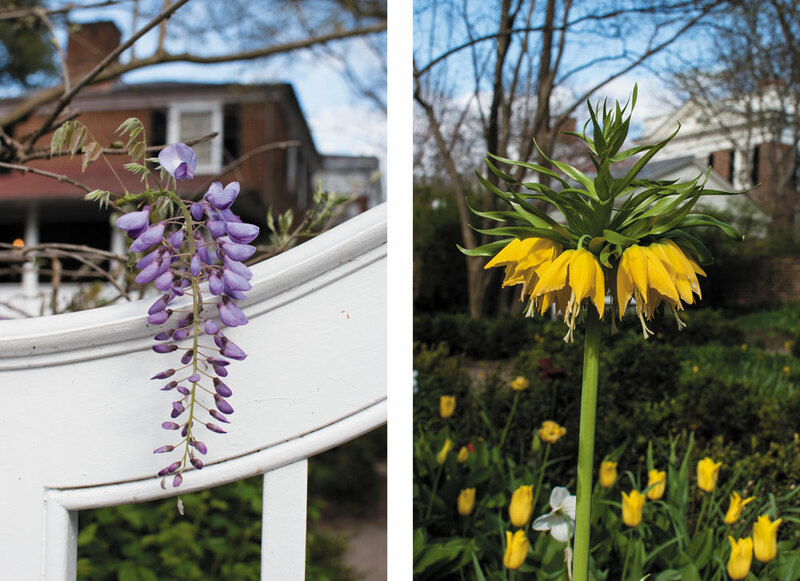 Landscaper Shannon Adams says she sees gardeners from all over the country who come to talk about plants; others come to celebrate weddings or the end of the school year; locals come to walk their dogs; and students come to sling up hammocks. Adams says she loves working in the heart of Grounds, hearing and seeing a bit of everything that goes on. Here, we offer our readers farther afield a look at what she and others saw this spring.